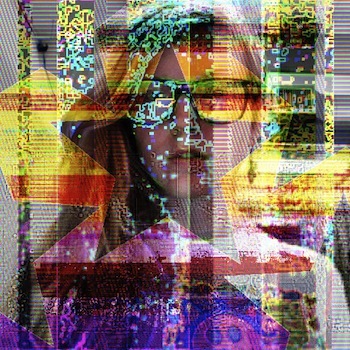 Rachel Stuckey is a moving image artist who works primarily with new media to question, parody, and endorse technology's influence on human bodies, minds, and systems of belief. She is the Gallery Director at Women & Their Work in Austin, TX and founder of the Welcome to my Homepage Digital Artist Residency Program. Hyperreal Film Club, Cheer Up Charlie's, Austin, TX. Feb 14, 2019. Moonmist, Houston, TX. Dec 8-16, 2018. The Museum of Human Achievement, Austin, TX. Nov 10 - 18, 2018. Hyperreal Film Club, Cheer Up Charlies, Austin, TX. March 12, 2018. Women & Their Work, Austin, TX. Nov 18 2017 - Jan 2018. Equivocations Pavilion, Nov 1, 2017 - Jan 31, 2018. No Vacancy 3: HELLO GIRLS! Alt Esc Platform, Brooklyn, NY. Nov 10-12 2017. Rachel Stuckey + Jesse Cline: !Help! EARTH ROVER ?Get.Unstuck? Cage Match Project, MoHA, Austin, TX. July 28-Aug 31, 2017. Chiang Mai University Art Center, Chiang Mai, Thailand. June 24-July 27, 2017. Bauhaus-Universitat, Weimar, Germany. May 13 - 21, 2017. IRL + Fusebox Festival, Austin, TX. April 12-21, 2017.
aCinema, Milwaukee, WI. April 7, 2017. Prismatx Ensemble + Rachel Stuckey present: Lunaire Eclipse. 29th Street Ballroom, Austin, TX. April 9, 2017. Media Archaeology Lab, Boulder, CO. Feb 15, 2017.